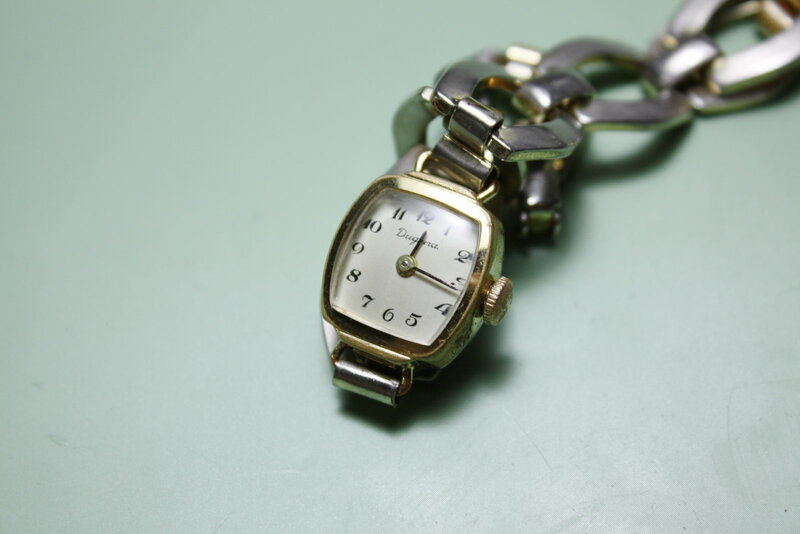 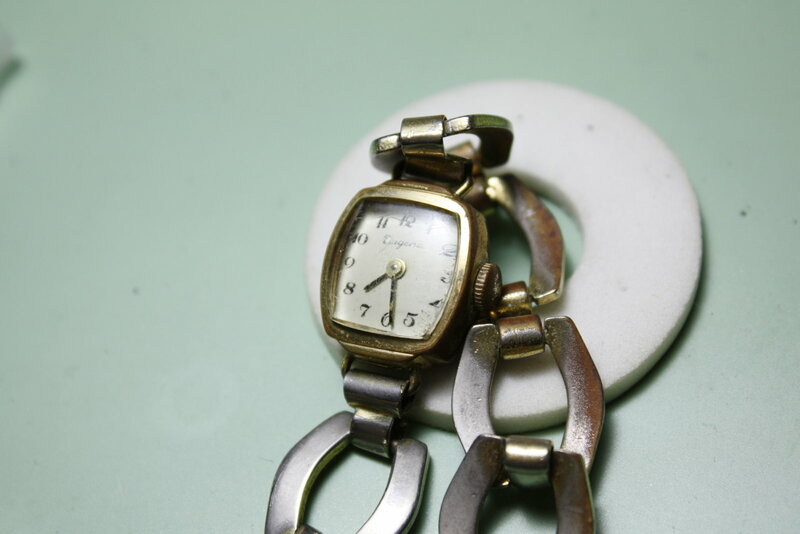 This time a pretty worn Dugena ladies watch from the late 1960s. 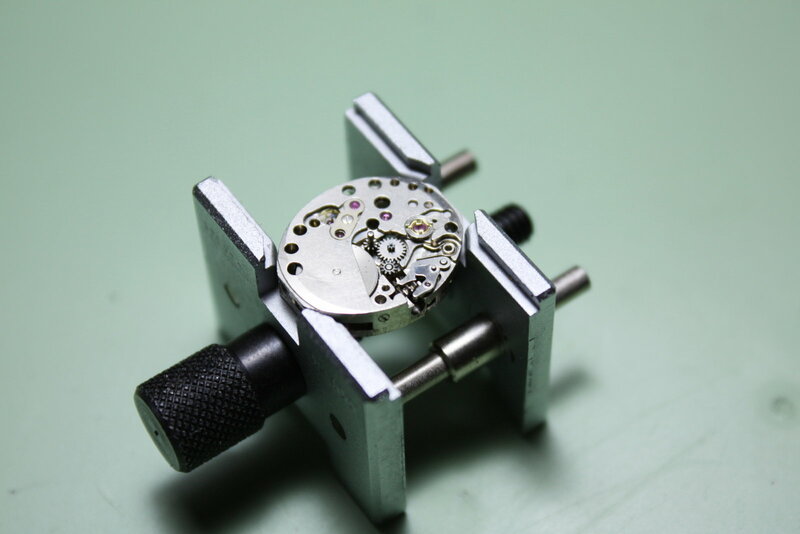 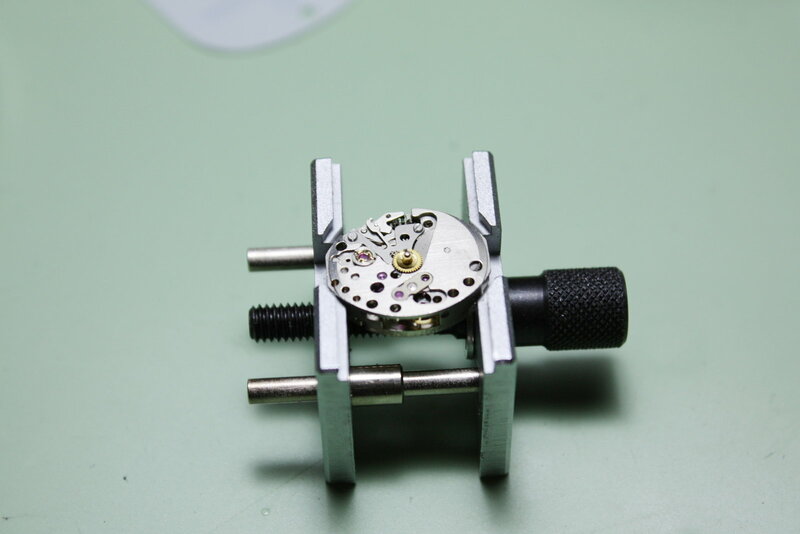 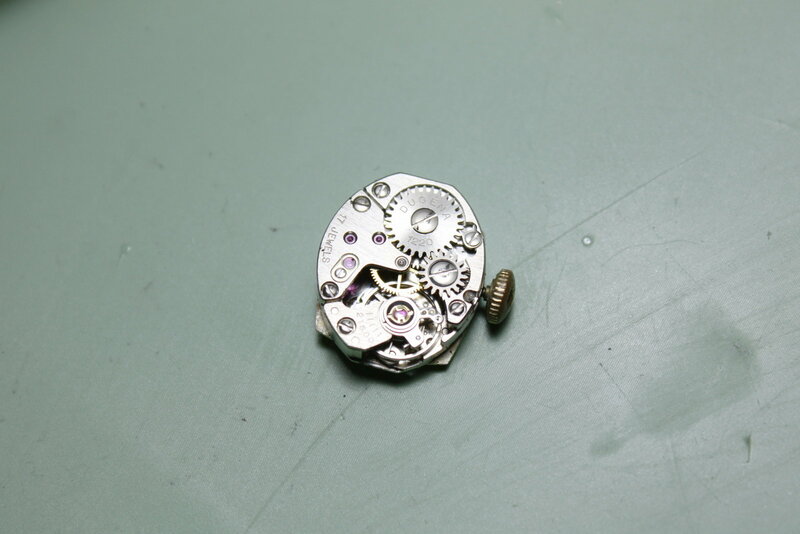 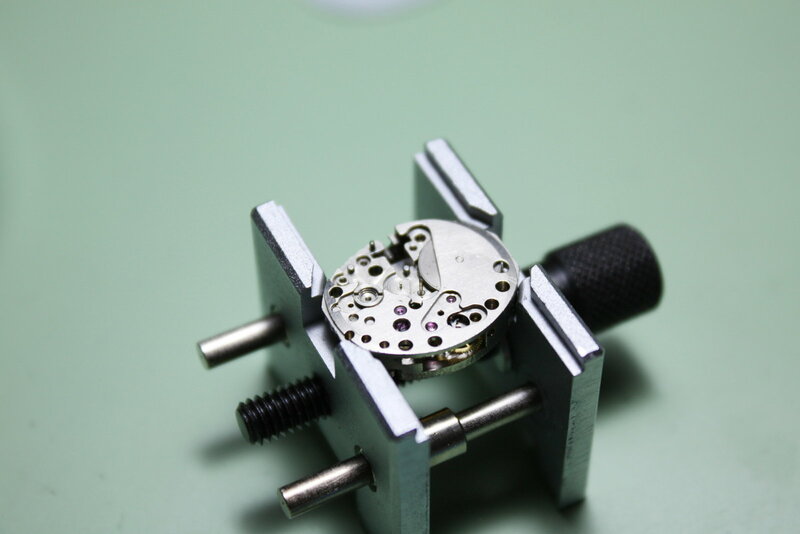 But the movement - a reliable Dugena 1220 (actually a relabeled PUW 1075E) - is still in a quite decent condition. 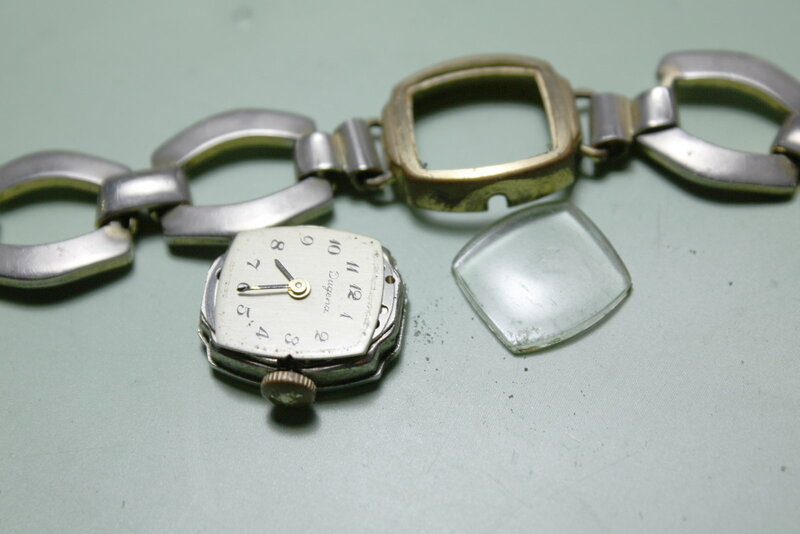 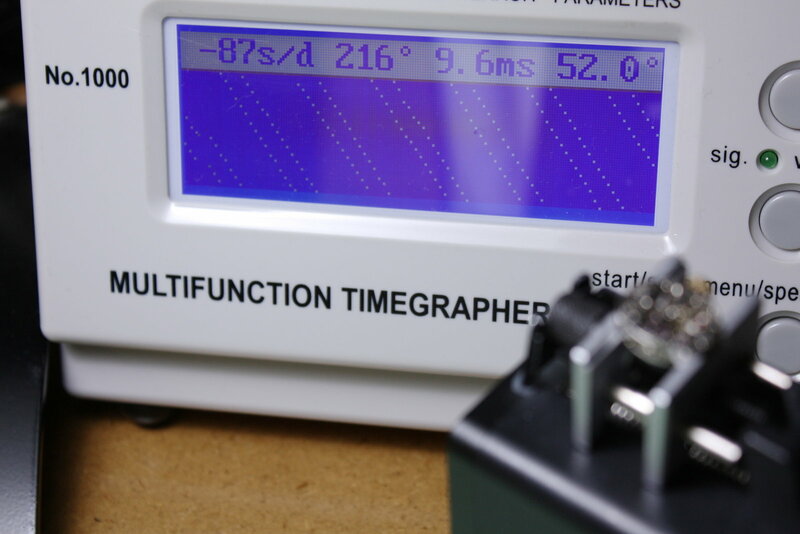 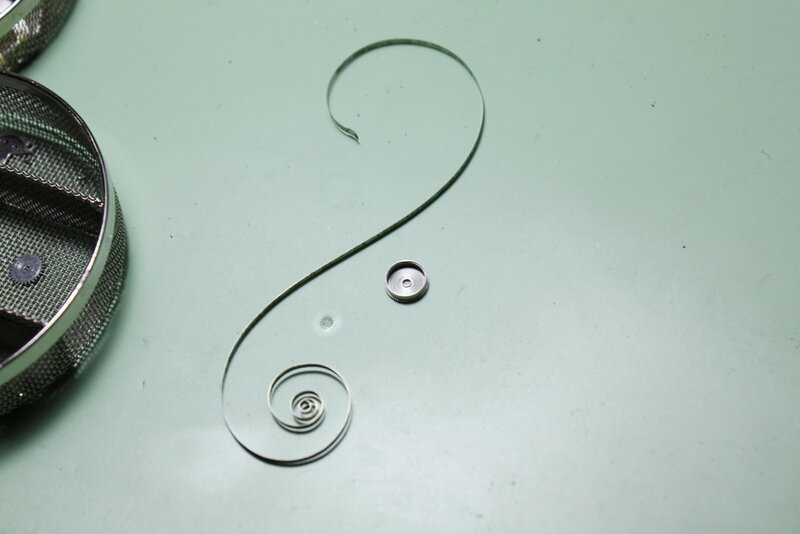 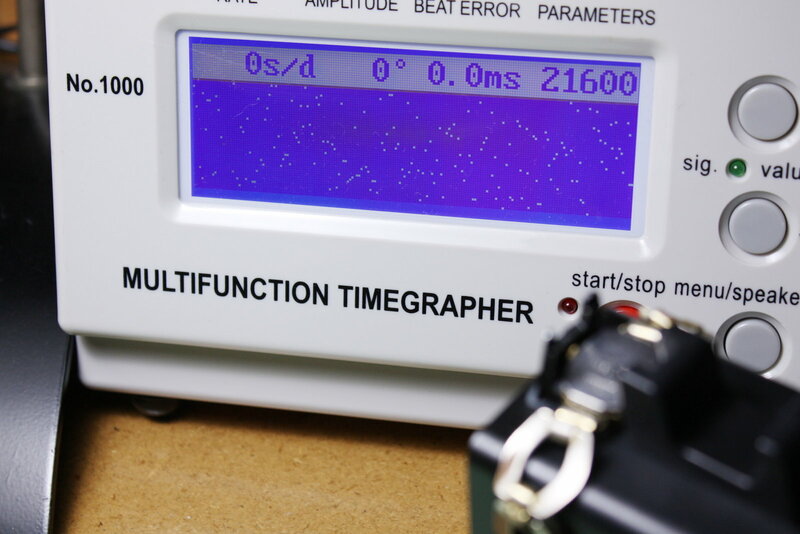 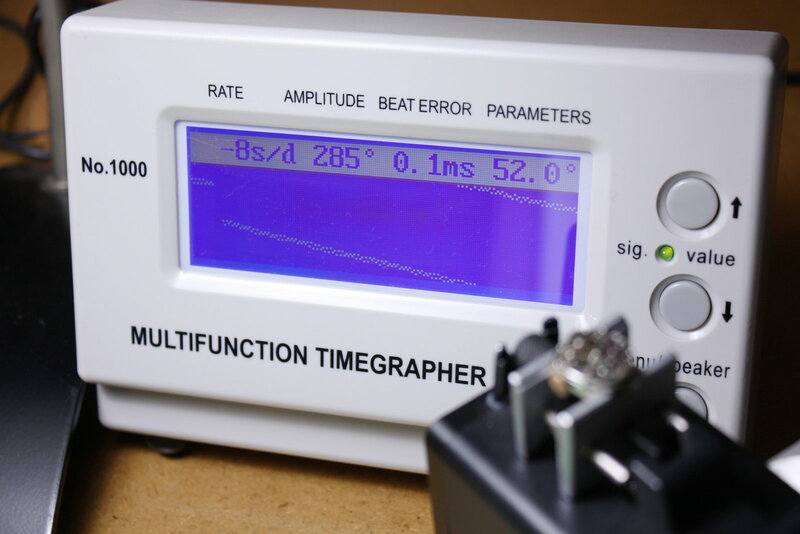 Without a date or day-date function, everything is pretty easy accessible / repairable. 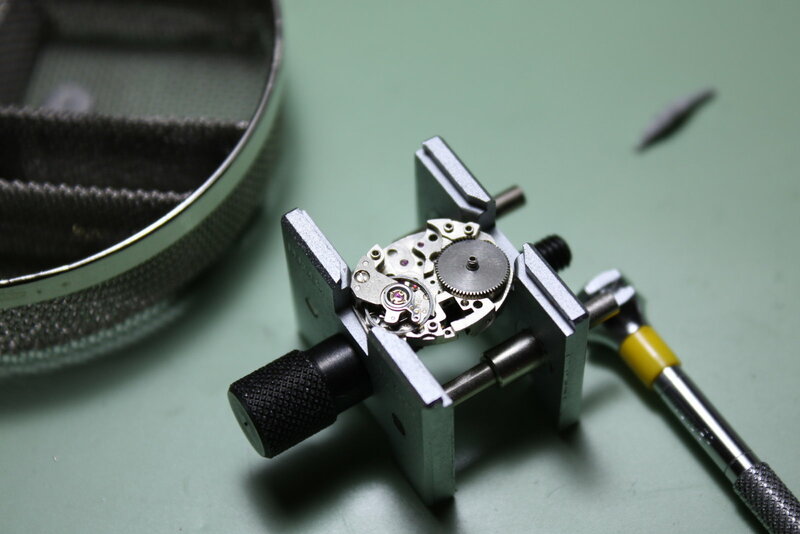 The balance wheel and the mainspring barrel are roughly the same size - they warrant for good timekeeping over more than a day. 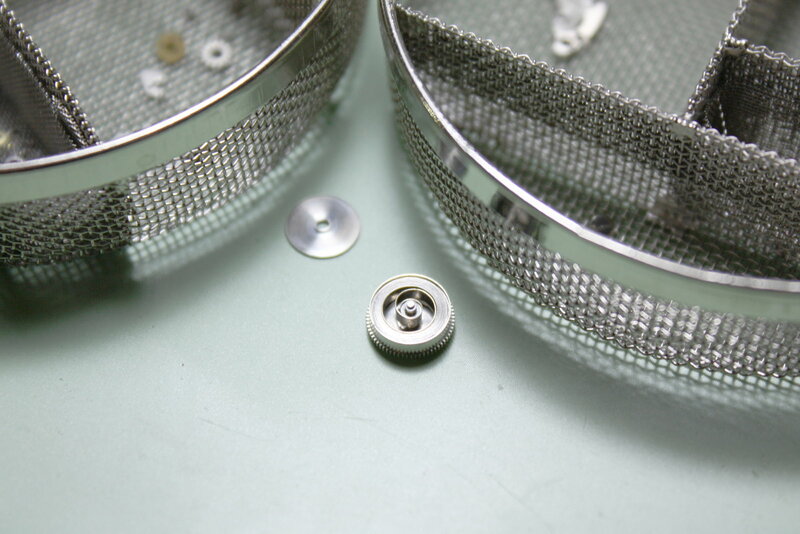 Mainspring barrel and wheel train lie under separate bridges. 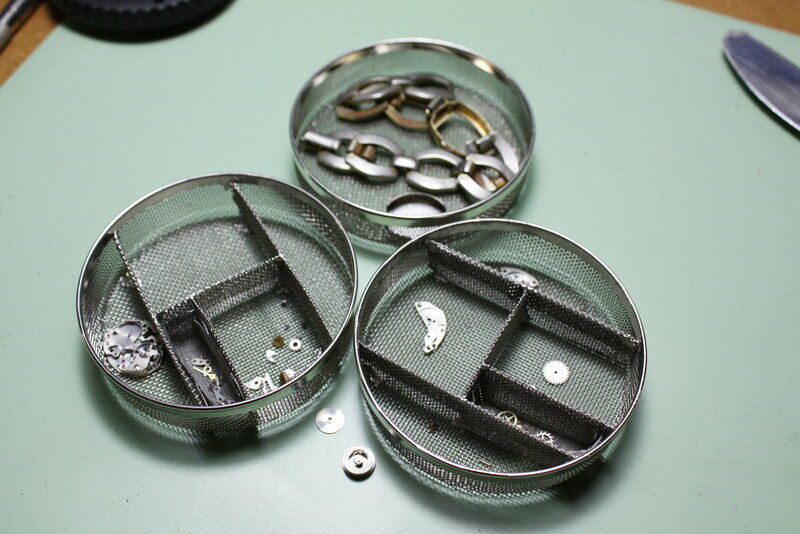 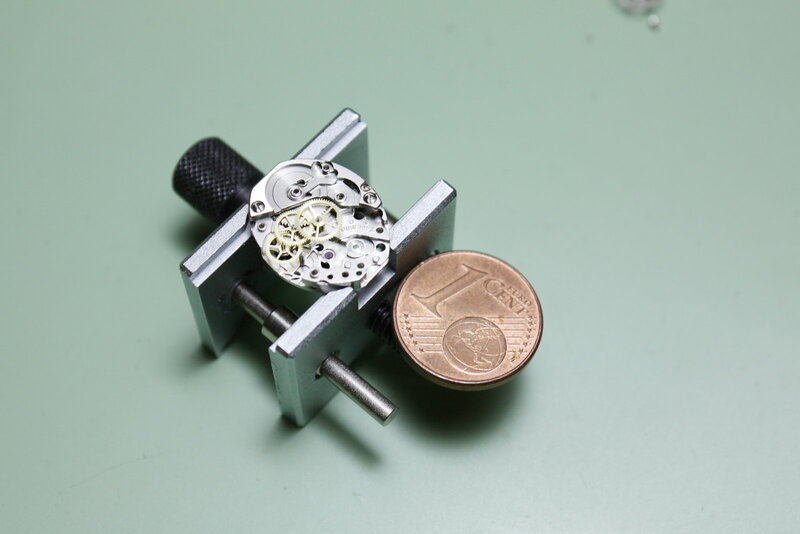 This also allows for taking the watch apart easily (the Eurocent coin highlights the miniature dimensions of this movement).